A couple of weeks ago, after I reviewed an excellent Tuscan red made by the tenor Andrea Bocelli in my NBCNews.com column , a number of readers asked if I could provide a recipe for the pasta dish I had with the wine. I use yellow tomatoes when available for this sauce because I like their lower acidity and their sweetness, but I have also enjoyed this dish many times with red tomatoes, both fresh and canned, so feel free to substitute them. 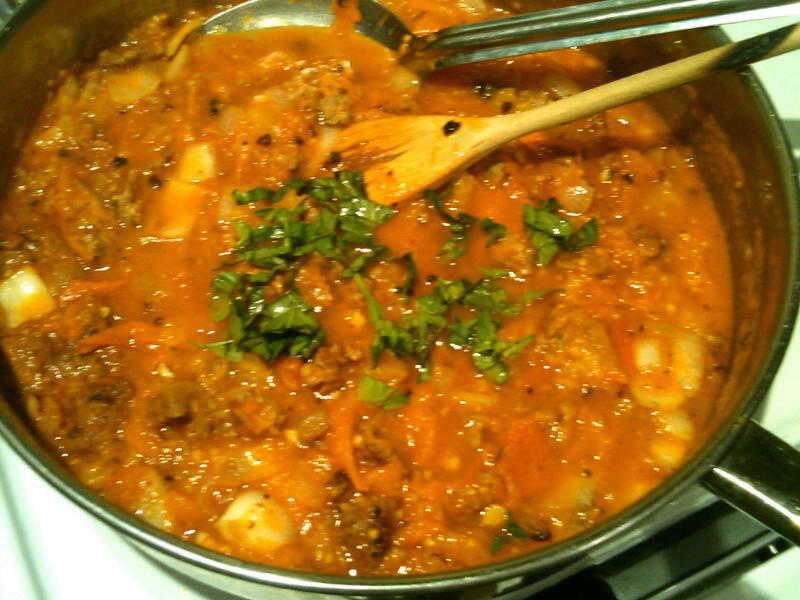 Spoon the olive oil into a large, heavy-bottomed sauce pan, preferably cast iron. Add sausage (if sausage is in casings squeeze the meat out). Over low to medium heat, break sausage into small pieces with a wooden spatula and cook for 10 minutes or so, tossing frequently, until nicely browned but not burned. Add onion and cook until translucent. Add garlic and stir with onions and sausage until golden. 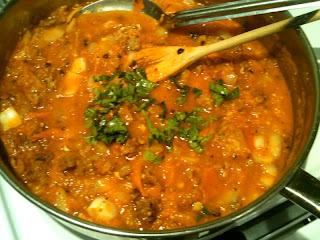 Add tomatoes and mix thoroughly with other ingredients. Use the spatula to break the tomatoes apart. Cook over a low flame, partially covered, for 15-20 minutes until the tomatoes have softened. Remove cover. Break tomatoes apart more with spatula if needed. Simmer 10-15 minutes more until tomatoes have cooked down and sauce has thickened. Stir in parsley. Toss with penne, fusilli or your favorite pasta and top with grated Parmesan. Serves 4. Not bad at all. In fact, I'd like to try and see if I can put that recipe together. I'm thinking of adding a little more seasoning though, even if I'm not sure yet what exactly I'll be throwing in there.